The roof of your home protects it from weather events. It prevents rain and other forms of moisture from damaging the interior and contents of the home. In this protective role, the roof can also suffer damage from the events that take place around it. Hail is a weather phenomenon often associated with thunderstorms. Hail forms from cumulonimbus clouds that bring the thunder, lightening, wind and rain. These clouds include serious updrafts that are responsible for the formation of the thunderhead cloud. These same updrafts lift the rain drops up to elevations where temperatures are cold enough to transform them into ice pellets. With stronger updrafts, the pellets are also lifted back through the cloud, allowing more layers of ice to form around the hailstone. While most hail falls to the ground in sizes smaller than a pea, severe storms may bring hail as large as softballs. The larger the hailstone, the greater the extent of the damage it does to the roof of a home. While hail less than an inch in diameter may cause damage to the roof, it is more difficult to spot. When the stones grow to between one and two inches in diameter, one can easily spot damage to metal flashing and the shingles that cover the roof. Hailstones greater than two inches in diameter generally cause damage throughout the roof that even the untrained eye can easily spot. Storms the form large hailstones also generally include a great deal of wind. The wind tends to lift up the tabs of the shingle and may blow them away. 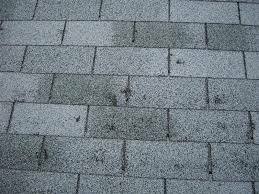 The combination of wind and hail makes the damage to the roof of your home worse than either working alone. In addition, the fronts that bring hail are also those responsible for bringing tornadoes with the storm system. After a storm, it is essential that you have repairs made to the roof of a home. In most instances, your homeowner’s insurance will pay for part, if not all of the cost of repairs. You should contact your insurance adjuster for an evaluation of the damage done. When contacting a roofing contractor, be sure to contact a well established, local company with offices in your community. After a storm, contractors who go door-to-door in the community asking to evaluate your roof and provide repairs may contact you. These storm-chasers often follow such storms but provide substandard work. If problems develop after they complete the repairs, they are long gone and not likely to return to stand behind their work. “When you need roof repair, take time to choose a company like Silver Spring roofing that will provide the best work for your needs. Ask people you know about roofing contractors they have used and their satisfaction with the work that the company does. Take time to read online reviews and check with the Better Business Bureau before signing any contracts. Also ask to see a copy of the company’s insurance before you allow any employee on the roof, even for evaluation of the damage.